During the course of my travel writing career, I’ve had more than my fair share of great gigs - but I really hit the jackpot ten years ago when I was asked to be the Travel Editor at Ranch & Coast, San Diego’s ultimate lifestyle magazine. And how did that happen? A dozen emails later, we’d worked out the terms of our coupling and the ensuing years have been one long, happy honeymoon. So happy, in fact, that I never pursued the “how did you find me” question. 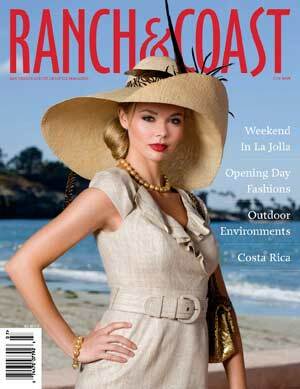 Ranch & Coast was first established in 1983 as an exclusive Rancho Santa Fe community publication, catering to the needs of one of the most affluent zip codes in the United States. In 1995, Bob Stefanko and Collette Murphy came on board to lend their design and production expertise and three years later they purchased the magazine. 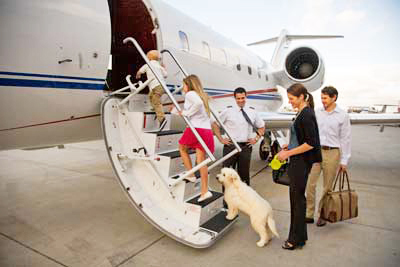 Since then, the publication’s reach and coverage have expanded to other affluent areas in the San Diego region, including South Carlsbad, Olivenhain, Del Mar, Solana Beach, Carmel Valley, Santaluz, and La Jolla — while maintaining the loyalty of Rancho Santa Fe readers. In addition to copies delivered to subscribers, Ranch & Coast can be purchased at upscale grocery retailers (think Whole Foods) and is in-room at several luxury hotels including Park Hyatt Aviara Resort, L’Auberge Del Mar, and Estancia La Jolla Hotel & Spa. Ranch & Coast’s editorial covers a diverse array of topics important to our readers’ lifestyles: galas, arts and culture, philanthropy, personalities, dining, travel and leisure, wealth, fashion, home environment, health, beauty, and physical fitness. In short, the magazine keeps readers informed about what’s happening in their world. At Ranch & Coast, I plan an editorial calendar for Detours / Destinations that includes articles about places that offer adventure, indulgence, romance, family-friendly activities and a chance to disconnect from busy lives. 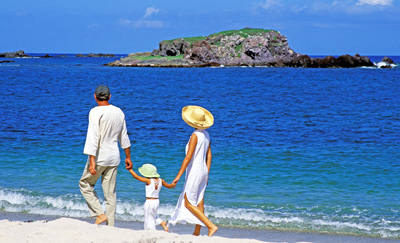 My articles are based on my personal experience of a destination. Samples of some of my Ranch & Coast pieces are included on this page. I am sometimes asked about advertising in Ranch & Coast. If that is of interest, please go to the Ranch & Coast website and click on Advertise.